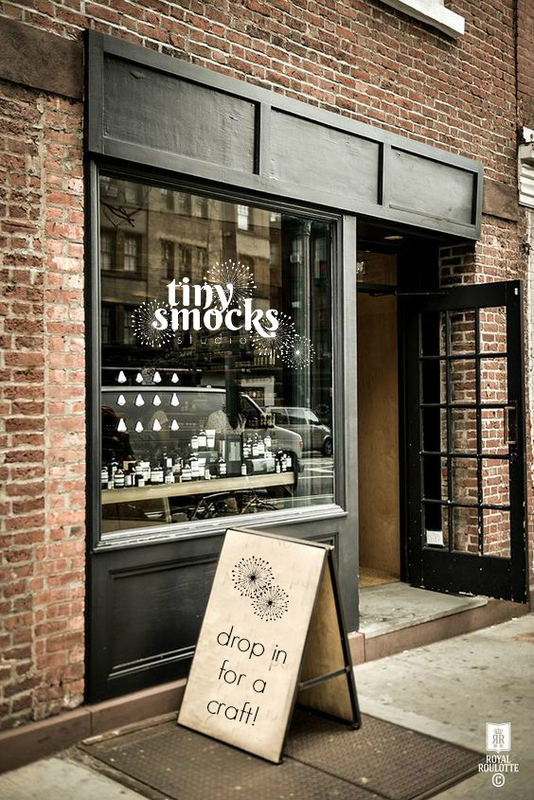 Welcome to Tiny Smocks Studio! 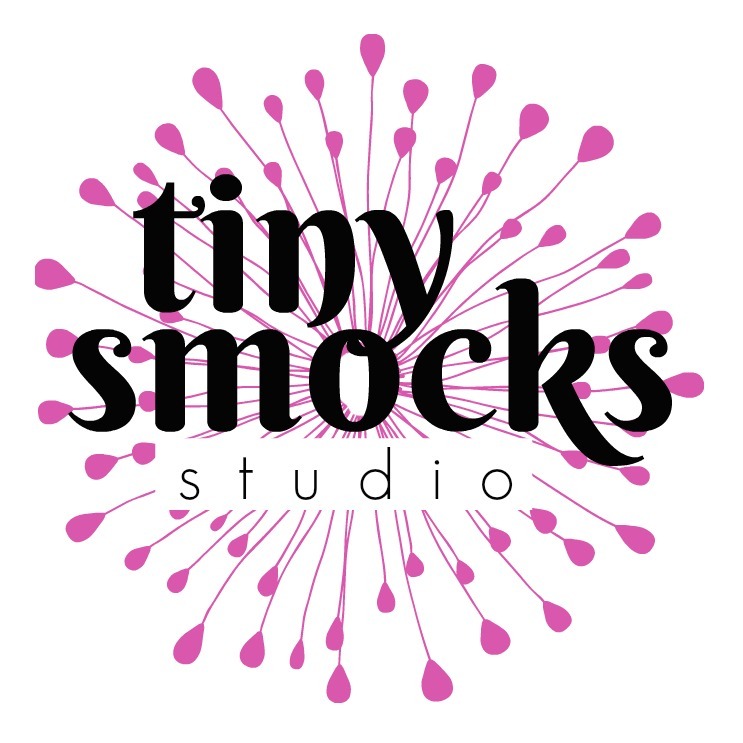 Tiny Smocks Studio is a creative space where kids are free to express their creativity through various classes and workshops. Parents can drop off their kids, or they can stay and create unique collaborative art pieces together that they will cherish forever. Three years ago, we bought our house in Beaconsfield, Quebec. I was 7 months pregnant with Danika when we (finally) found the one. It was the 22nd home (give or take) that our Agent showed us. I knew it was it, the second we walked in (well, actually, I knew it was it, when I saw the pictures on MLS.ca days before). One of the things I love most about living here is that we have close friends, Nick and Pam, who live a couple of streets away and their two little girls go to the same daycare as ours. It’s so awesome to think that the girls have already known each other since they were born and that they will continue to grow up together out here. That is just so incredibly special to me. So, over the years, our two families have had plenty of meals together for various occasions. At their house, ours, parks, pools, etc, etc. Pam is an amazing cook. 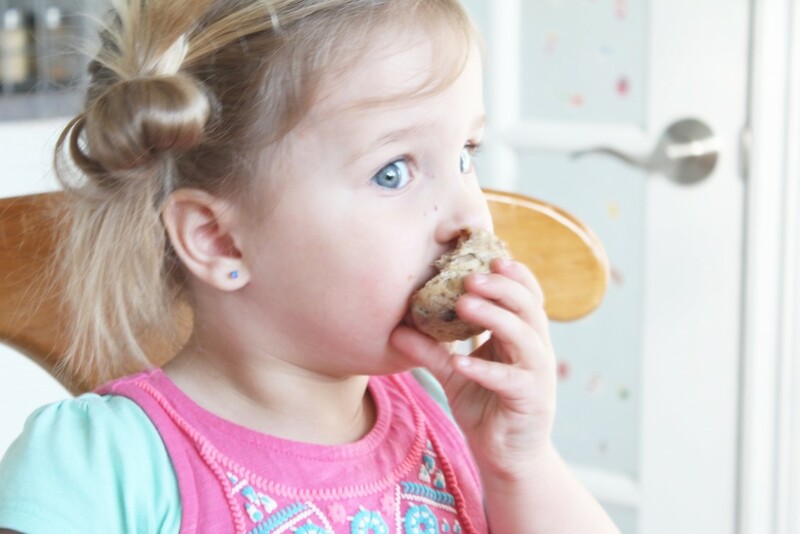 She bakes these insane banana chocolate chip muffins that are so delicious and such a hit with the girls (with us adults too). I needed the recipe, tout de suite! And lucky for me, she happily obliged. When I bake these, they last 3, 4 days at the most in our house. 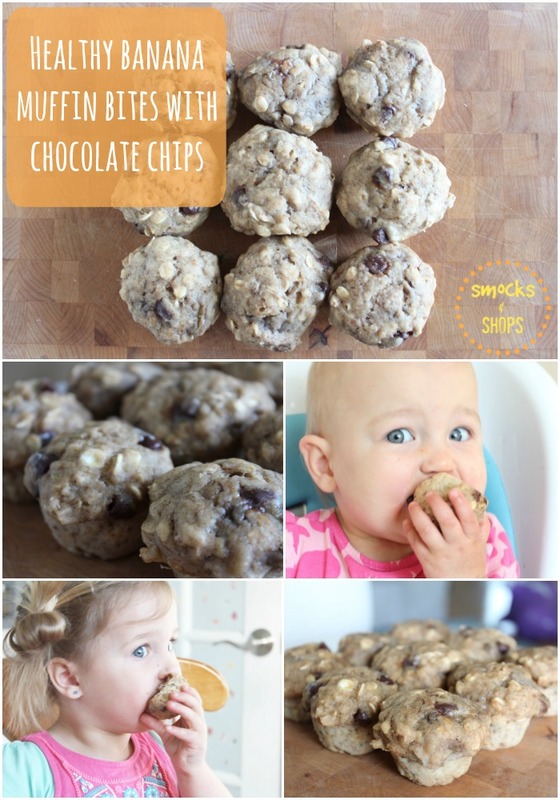 Everyone’s self control flies out the window, whether I include the chocolate chips or not. Over time, I tweaked the recipe a little to leave out some of the sugar and fats the original version called for. 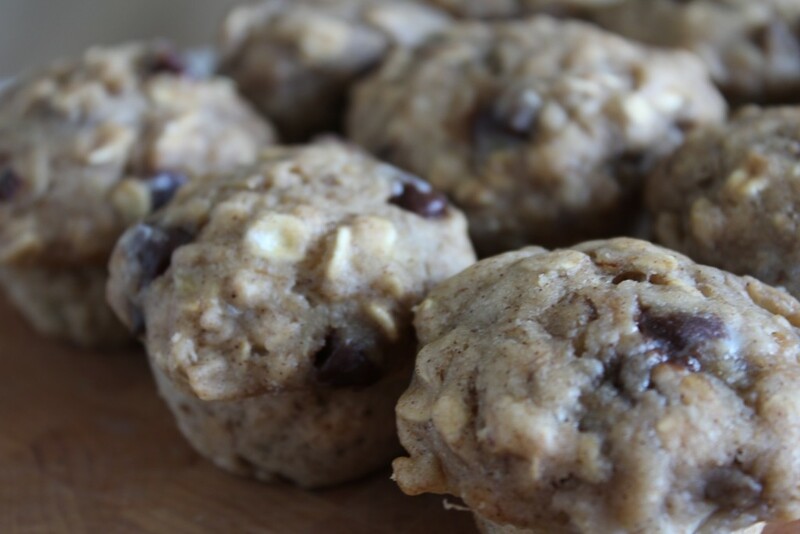 This has to be the healthiest banana chocolate chip muffin recipe I’ve ever come across. As I started baking this batch, I felt it was finally time to immortalize the recipe online. – Preheat oven to 350°c and spray or grease the muffin tray. – Blend the dry ingredients in a large bowl. – In a separate bowl, mix the wet ingredients, then add them to the dry. – Combine the two with a wooden spoon, being careful not to over mix. 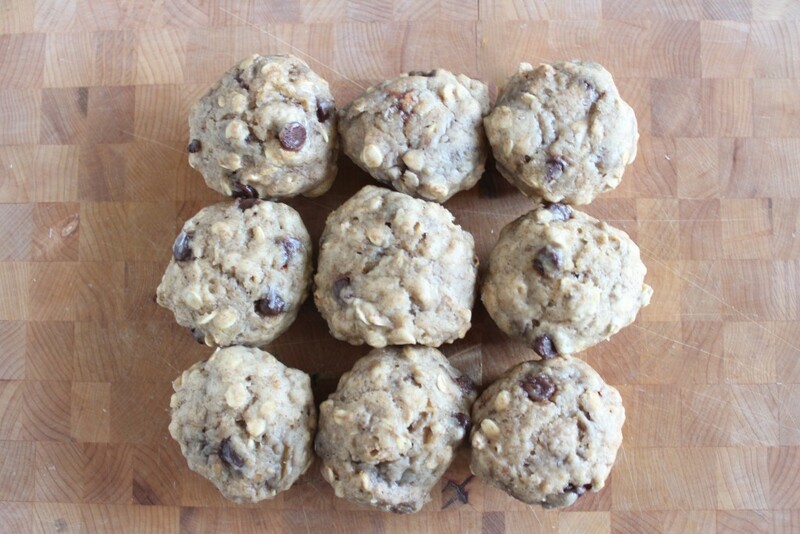 – Lastly, fold-in the chocolate chips. 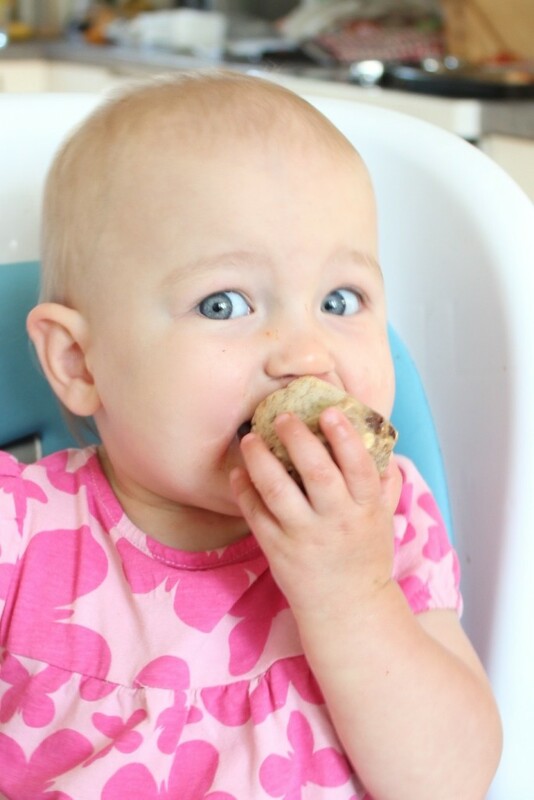 – Spoon the batter into the mini muffin tray and bake 12-15 mins. 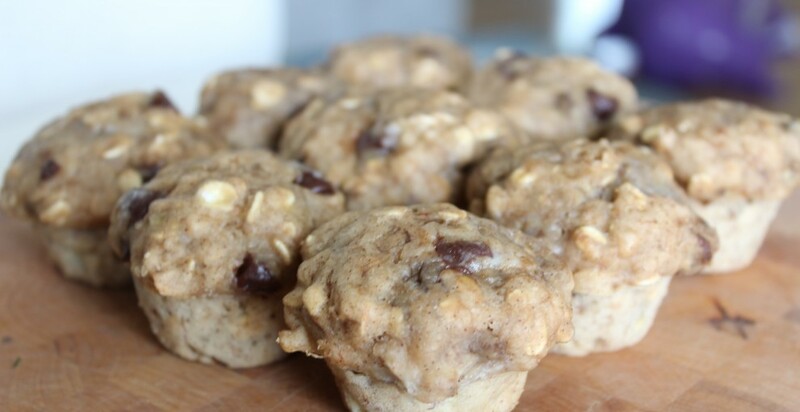 – Or, if you make normal size muffins, bake them for 18-20 minutes. A variance I came up with is to use pumpkin purée instead of the eggs. Simply substitute the 2 eggs in the recipe with 1/2 cup of pure pumpkin purée. Just as delish! © 2019 Smocks & Shops. All rights reserved.